Morzine, together with Avoriaz, is part of the Portes du Soleil range that stretches across France and Switzerland. It is located in the Haute-Savoie department in the Rhône-Alpes region in eastern France. Morzine has become famous ski centre with hotels, restaurants and lift passes that cost less compared to the nearby communities and ski resorts like Courchevel and Meribel. 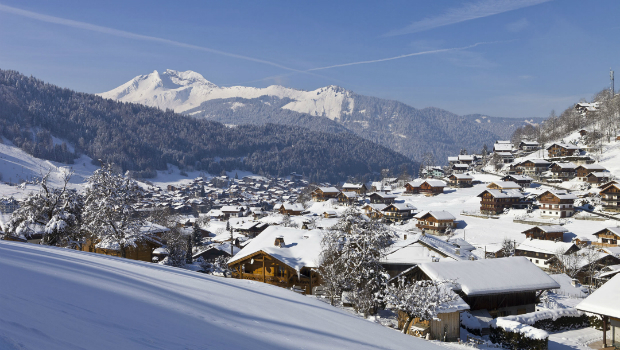 With an average population of around 3000 inhabitants, Morzine is a small, but lovely and vivacious village. The outstanding atmosphere makes it perfect for every nature lover and those who want to escape from the urban crowd. Traditional chalets made of wood are to be found everywhere through the village. The excellent weather conditions rebound the village to be visited throughout the whole year: in winter for its magnificent ski opportunities and in summer for its diversities of activities on fresh air. Experience the superb ski area offer: 3 green slopes, 29 blue slopes, 28 red slopes, 9 black slopes, 120 Km of skiing, 14 draglifts, 3 cable cars, and 5 Mountain lifts for walkers. Slopes’ medium difficulty makes it perfect for non-professional skiers and family activities. Snowshoeing and ice diving in the marvelous Lake Montriand are also available. If you want to visit Morzine in summer, there are plenty of things that you can do. The land is perfect for mountain biking (over 380km of marked trails), paragliding, golfing, fishing, canyoning and tennis. It has hosted Tour de France and Mountain biking championships. Morzine proliferates in sporting, cultural activities and après ski. Cosy, comfortable bars and restaurants are located at every corner with excellent service and reasonable prices. Morzine is a vibrant town with many sports and cultural activities. The apres-ski scene during the skiing season is excellent with the vast offer of restaurants and bars. A favourite spot for après ski parties is the bar Robinson’s. If you are looking for a more sophisticated place, the Coup de Cour wine bar is the place to be and late night parties can be found at Cavern, Crepu, Opera and Tibetan Bar. Morzine is a place where you can find any type of events: concerts, sports events, cultural happenings etc. Don’t miss to visit also the Harley days (usually in July) dedicated to the most iconic motorcycle brand. Morzine’s closest airport is Geneva international airport in less than 2 hours drive. This airport has a good connection with the main ski resorts, including Morzine and there are several transportation options available. Public transport is available from Geneva airport but you should expect that the journey will take most of your day. You will be required to combine bus and train and plan your time according to their timetables. Airport taxis are located right outside the airport building and make sure to negotiate the price before your taxi transfer. For fast and reliable ski transfer from Geneva airport to Morzine, you should book a private airport transfer. You will save time and the taxi driver will take you directly to your accommodation. The reservation needs to be made in advance, at least 24 hours prior to your trip. Depending on the number of people and luggage, you can book a car, van or bus for your Morzine taxi transfer. The best thing about this type of transfer is that the price is fixed and per vehicle, so for larger groups, the cost is significantly lower.